Today is the last day of my Spanish “class” (not sure whether 2 students qualifies as a class). I stumbled upon this free class by chance and it’s turned out to be one of the best things I’ve done all year. It’s close to work, it’s fun and is the motivation I need to improve my Spanish speaking skills. Anyway, in celebration of our final class, I decided to bake a tart and also to introduce my teacher and classmate to my beloved lúcuma. The recipe is one I found on Radishes and Rhubarb—straightforward, nothing complicated about it. 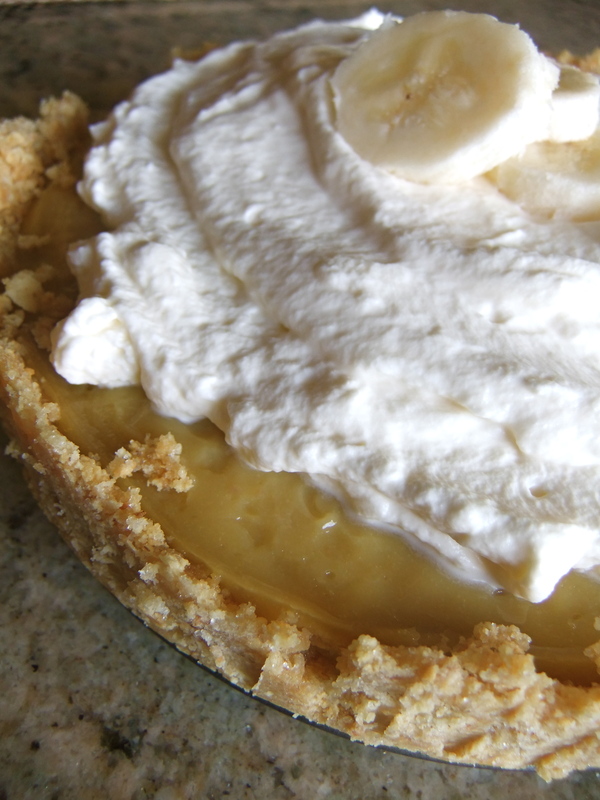 I tweaked it slightly for my lúcuma version (the original is for banana cream pie). I used my springform thinking I would get a prettier and easier- to-serve tart. However, removing the crust from the sides of the pan turned out to be not so easy. As you can see in the photos, I ended up with an uneven and crumbly crust—not nearly as pretty as I was hoping for. The taste, thank goodness, is exactly what I hoped and totally makes up for any imperfections in appearance. The custard is all about la lúcuma: dreamy creamy thick, sweet and caramelly. I could have strained the mixture, but chose not to—I really enjoy the starchy texture of lúcuma and wanted it to stand out. As for the chantilly cream (which is just whipped cream sweetened with sugar and vanilla), it’s smooth and light and is a good contrast in texture to the custard. In case you are wondering WHERE outside of the Andes you can find lúcuma: here in San Francisco, I know of only one place. It’s a little market on Mission, between 20th and 21st, which sells the fruit in frozen puree form and costs about $5.00 for 16 oz. Other small markets nearby have frozen passion fruit, guava and guanabana, but no lúcuma. Maybe next time I’ll try a version with passion fruit. In a small bowl, stir together the melted butter, sugar and graham cracker crumbs until the crumbs are moistened and the mixture begins to clump together. Pour the mixture into the bottom of your pie plate and, using your hand, press the crumb mixture to evenly coat the bottom of the pan and up the sides. Set aside. In a medium saucepan, combine sugar and cornstarch. Stir in the milk. Cook over medium high heat, stirring constantly until the mixture is thickened and bubbly. Reduce heat to medium low and cook and stir 2 minutes more. Remove from heat. 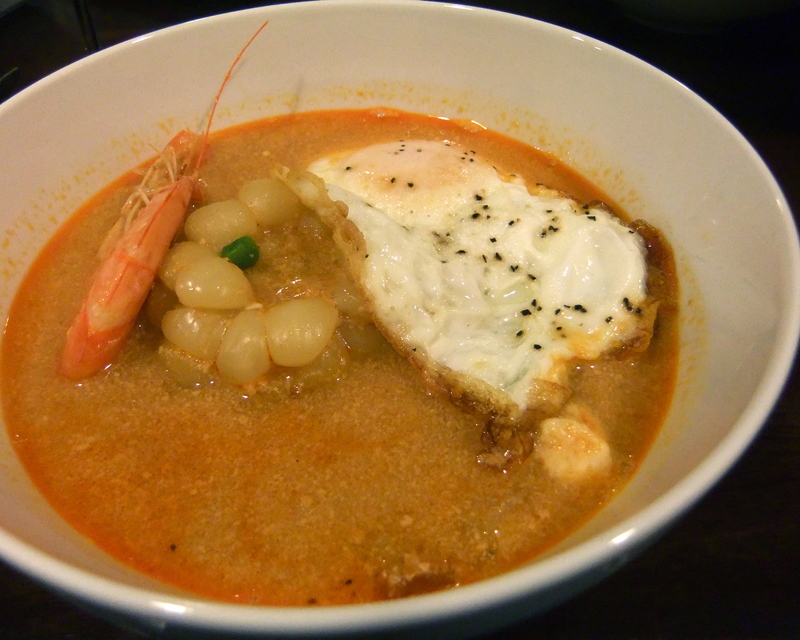 In a small bowl, lightly beat your egg yolks and then stir in the lúcuma puree. Whisking constantly, slowly add 1 cup of your warm milk mixture to the yolk and lúcuma mix. This will temper the yolks to bring them slowly up to the temperature of the milk so that you do not create scrambled eggs. Pour into the remaining milk mixture in your saucepan. Cook and stir over medium low heat for two minutes more to thicken the custard. Remove from heat and stir in the vanilla extract and tablespoon of butter. If desired, you can strain the custard through a fine sieve to ensure it is smooth and there is no cooked egg in the mixture. 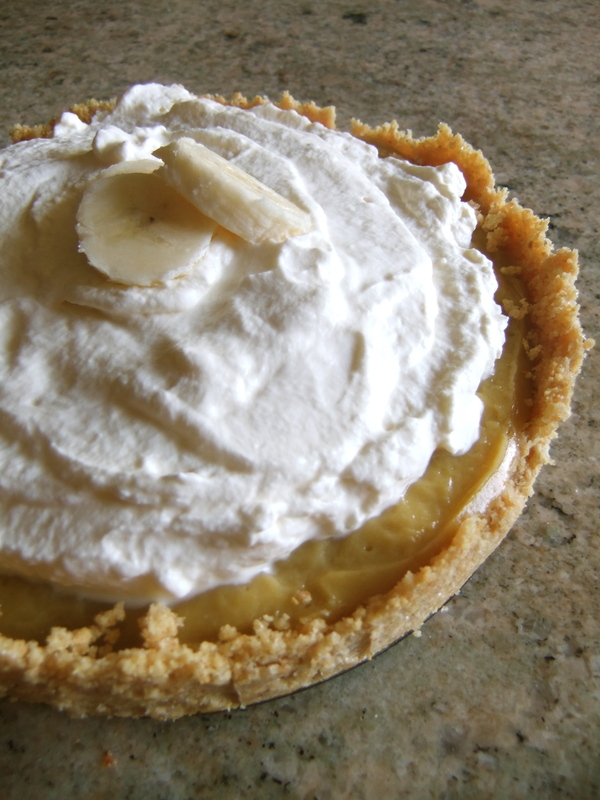 Cover the bottom of your prepared crust with the banana slices and pour the custard over top. Smooth the top with a spatula and cover with plastic wrap. Place in the fridge for 6-8 hours to allow the custard to set and the tart to cool completely. You can prepare the tart the night before if you wish. 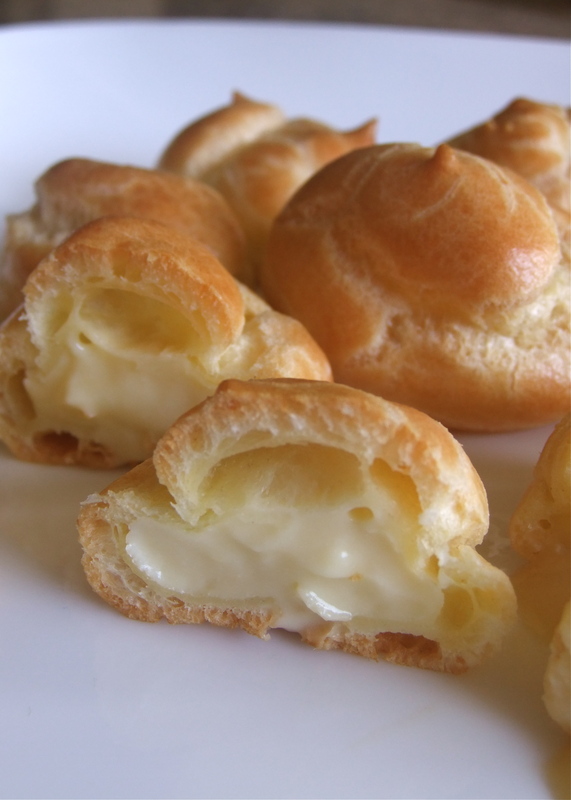 In a stand mixer or with a handmixer on high speed, beat the cream until soft peaks form. Add the sugar and vanilla and beat about 1 minute more until firm peaks form. 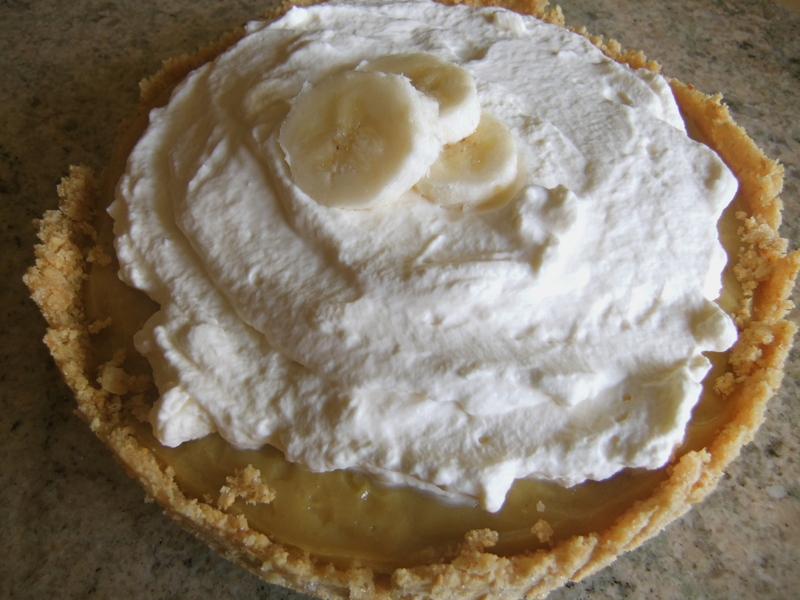 Right before serving the tart, spread the top with the whipped cream and garnish with banana slices. Made these in two rounds. Round 1: FLOP. 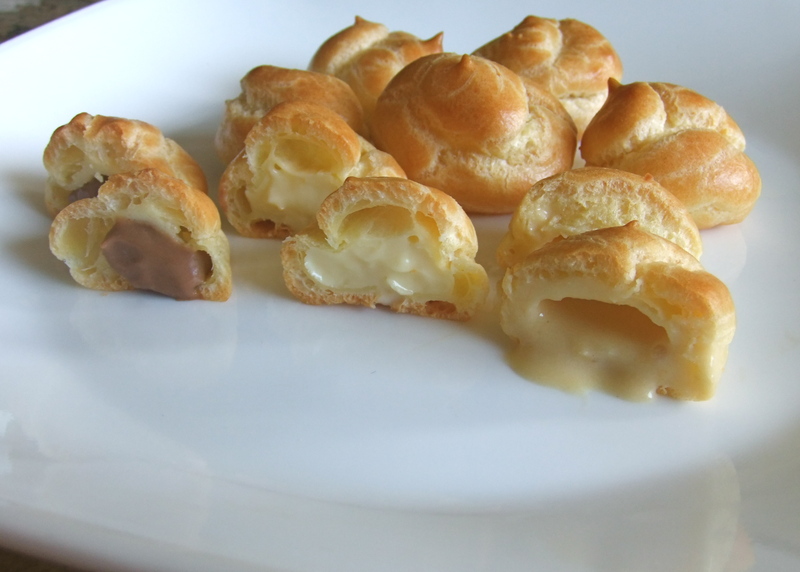 The plan was to impress a friend of mine on her birthday with homemade mini profiteroles filled with lucuma pastry cream (the same fruit I used to make cheesecake). 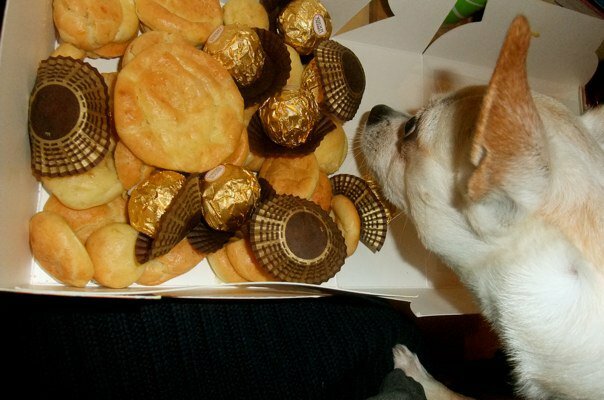 I did give them to her, though there was nothing impressive about them. They were these completely deflated, doughy disks that tasted more like pancakes than anything else. 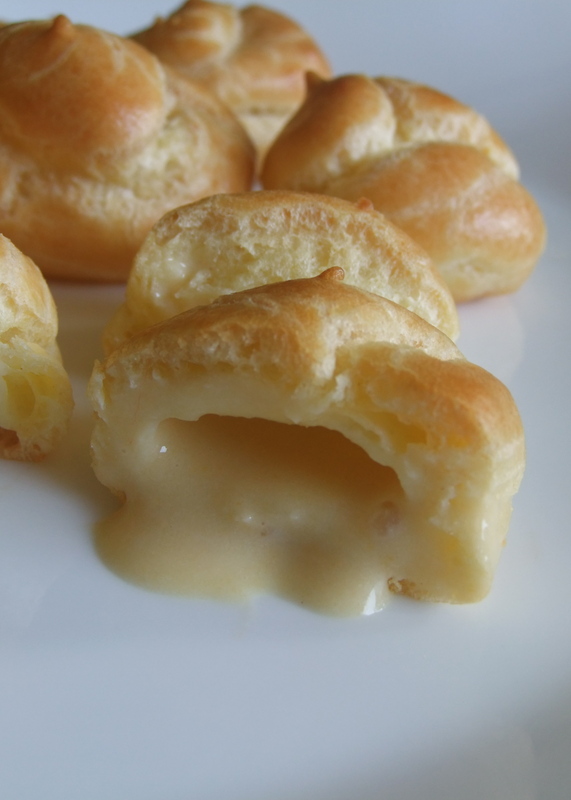 I also had problems with the pastry cream: too much lucuma puree made the cream runny. Actually, this was a problem in Round 2 as well. Will have to work on the amount for next time. Round 2: SUCCESS! Light, fluffy and crisp puffs that were not only easy to fill, but also were delicious and cute!! And the difference this round? Bake-time. 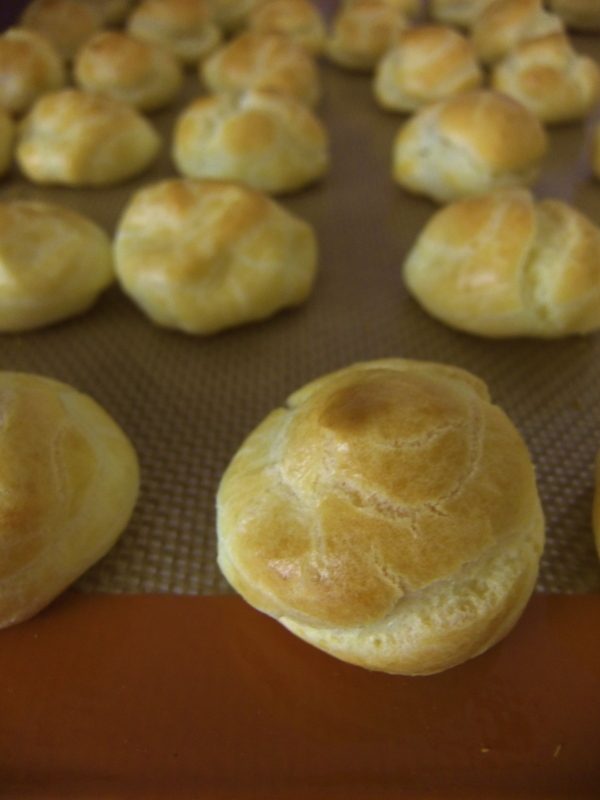 Though I did watch the clock, I actually paid more attention to the look of the puffs as they baked. After the initial 7 minutes, they still looked moist and even had little beads of moisture on their surface. So I gave them another 3 minutes before sticking the wooden spoon in the door. I also increased the time with the door ajar (from 5 minutes to 8). So by the time I was to rotate the tray, the moisture beads had dissipated and seemed dry enough to turn without causing deflation and then bake again. I increased the time from 8 minutes to 10. Following baking, I very gingerly removed the puffs from the oven, placed them gently onto the counter top and left them to cool for a few hours. And they held up beautifully until it was time to fill them. Loved all three filling flavors. As I mentioned before, however, I still need to figure out the lucuma puree to pastry cream ratio. Since I’m using frozen puree, it might be wise to strain some of the liquid out next time. 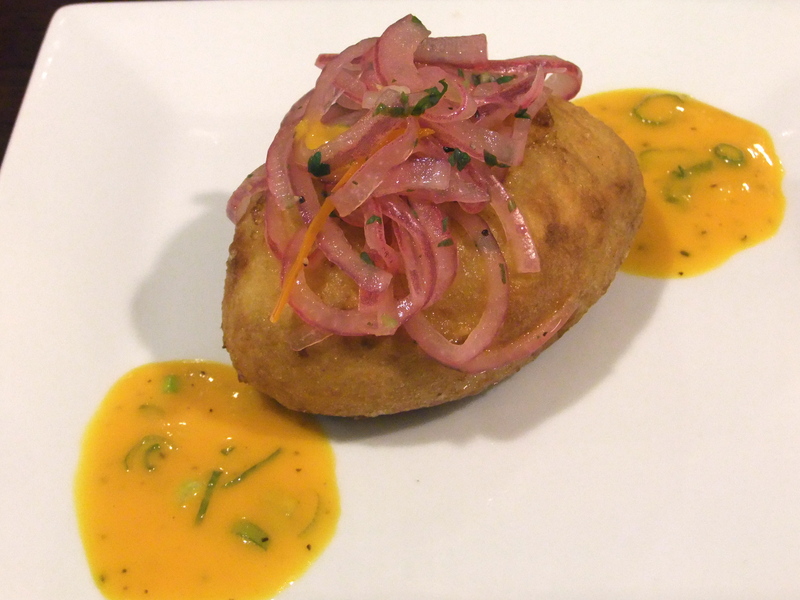 If you have access to fresh lucuma, you should definitely use that instead of the puree. Bring the milk, water, butter, sugar and salt to a roiling boil. Reduce the heat to medium and mix in all of the flour, stirring with a wooden spoon until the dough comes together. Continue to stir for 2-3 minutes. The dough will be soft and smooth. Pour the dough into a bowl and beat in the eggs one at a time. Form the dough into the desired shapes on parchment paper lined baking sheets. Stick the handle of a wooden spoon into the oven door to hold it ajar and bake for another 5 minutes (I baked for 10). Let the puffs cool for a few hours. Bring the milk and vanilla extract to a boil in a saucepan. Mix the egg yolks, sugar and cornstarch in another sauce pan. Temper the egg yolks with a few tbsp of the milk and then add the remaining milk. Bring the mixture to a boil while whisking and continue to whisk for a minute. Transfer the cream to a bowl and set the bowl in an ice water bath to cool while still stirring. Once the mixture has cooled off a bit, stir in the butter. Return the bowl to the ice water bath and continue to stir until completely cooled. For the 3 kinds of cream, split the pastry cream between three small bowls. In a small ramequin, melt the chocolate (I did this in the microwave) and allow to cool slightly. Stir into the first bowl of pastry cream until combined. Into the second bowl of pastry cream, add in the pureed lucuma and stir until combined. Put a small-sized pastry tip into your pastry bag. Then fill the bag with the plain pastry cream. 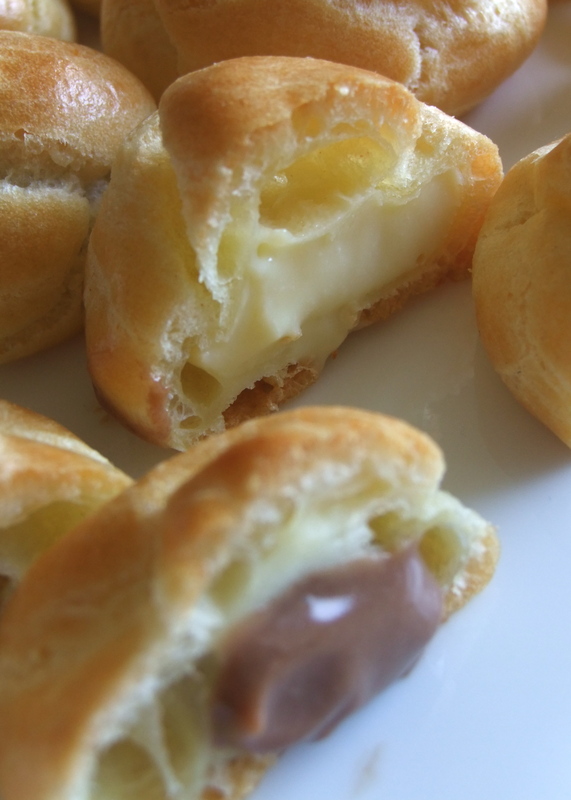 use the pastry tip to poke a hole into each cream puff and squeeze to fill. 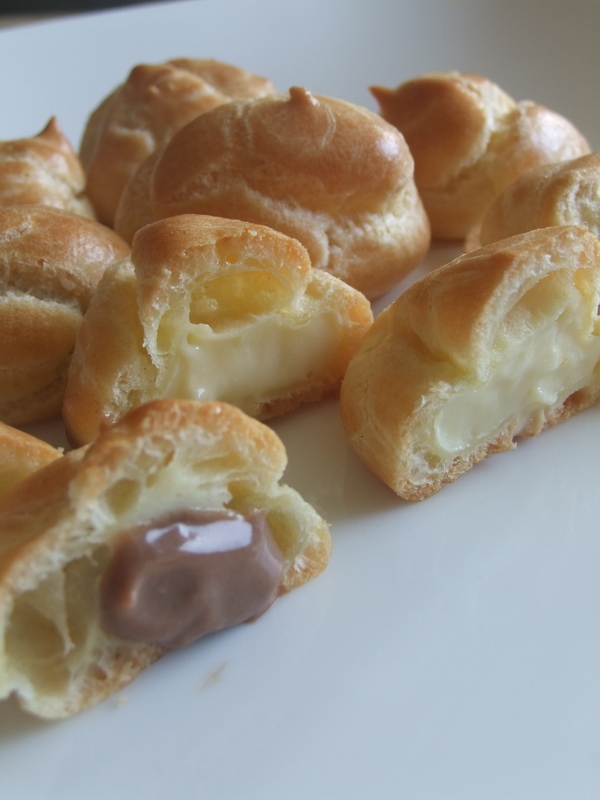 Repeat the process with the chocolate and lucuma creams. 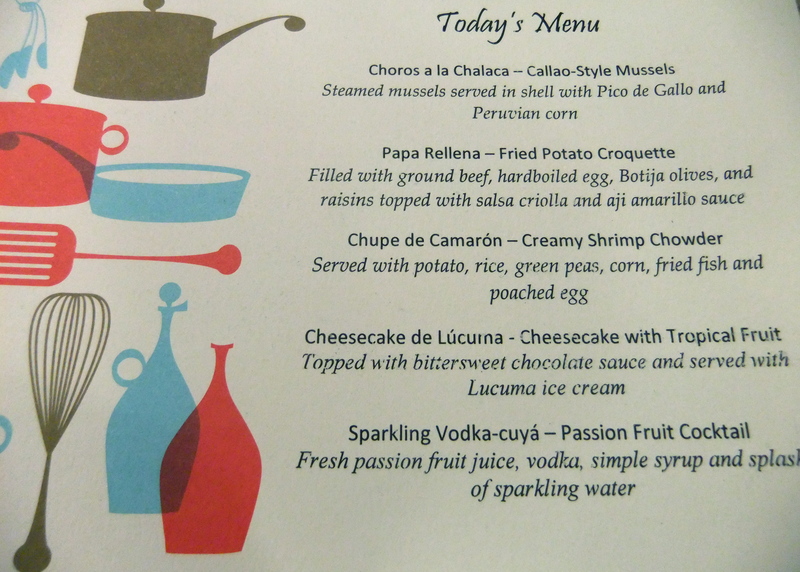 Last week was the first of the dinners. 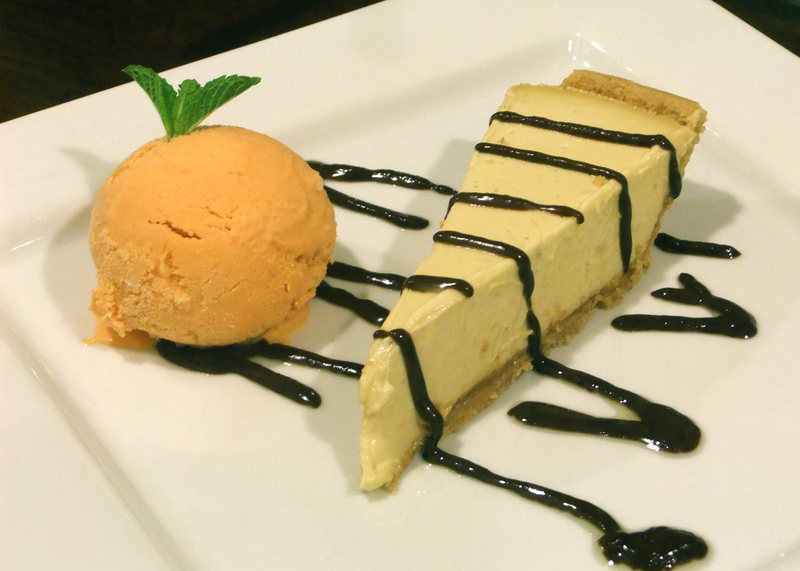 My favorite (surprise, surprise) was the lucuma cheesecake. Elizabeth gave me the recipe, which I hope to try soon (lucuma’s already in the freezer 😛 )! I made this amazing cheesecake TWO WEEKS AGO, but never got around to posting the recipe. Why? Because my life has been crazy (not fun-crazy; I mean, crazy-crazy). I was moving out, then I wasn’t. Now I moving out for sure, which means I have to find a sub-letter my roommate and her boyfriend approve of AND find a new home. Actually, I’m OK with the situation now. I’ve decided that I have a choice: sink or swim. So I’m swimming/doggy-paddling through this whole upheaval of hearth and home, and seriously, this decision has made all the difference. I think I’m going to be OK! 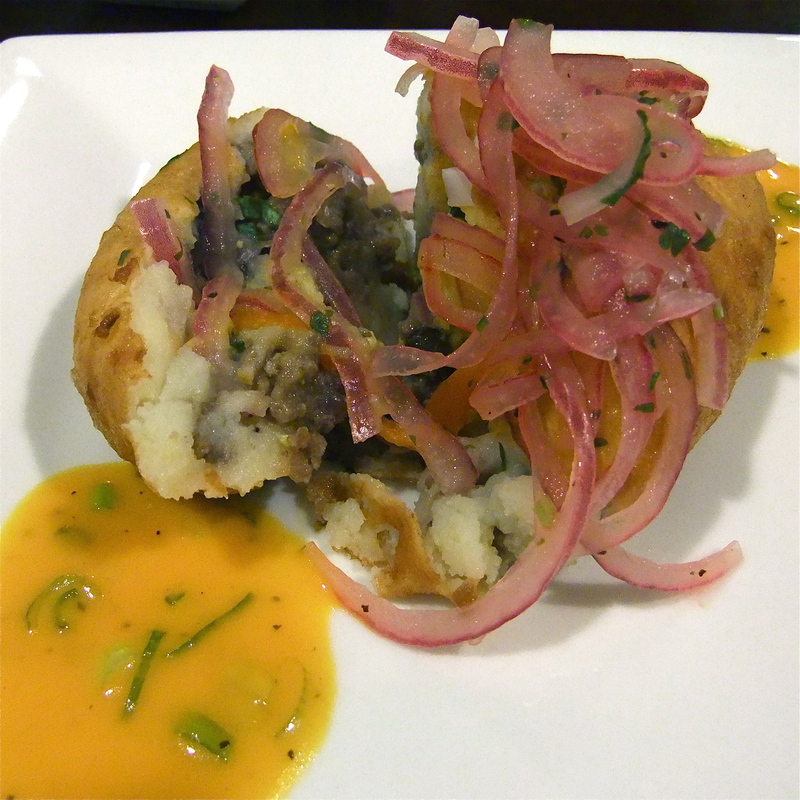 The recipe is from Yanuq, a website I mentioned in a previous post as being a great source for Peruvian recipes. I wasn’t all too pleased with ingredient amounts or method. (I’ve made cheesecake many times before, so this time I know it wasn’t me.) Despite following the instructions to a tee, my crust was glued stuck to the cake pan bottom, which made it nearly impossible to slice. Then again, there wasn’t much slicing going on, rather, a lot of scooping. As soon as I removed the springpan form, the filling starting oozing and collapsing. I blame it on the gelatin; it totally failed me. 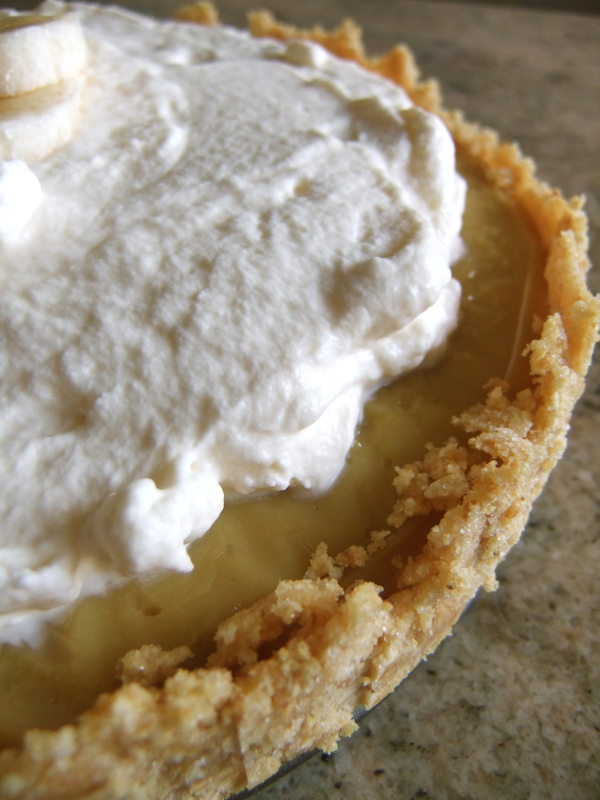 The next time I make this, I will use a butter-based graham cracker crust rather than egg-white. 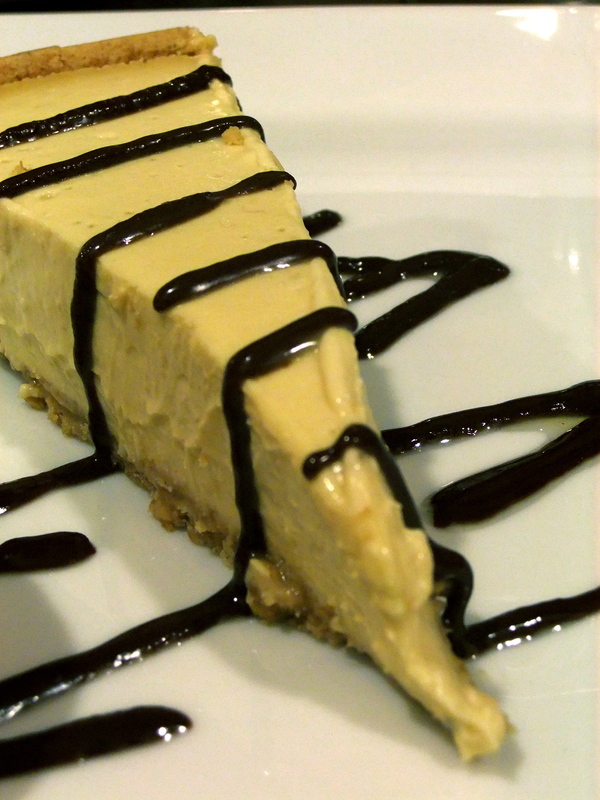 I will also investigate other no-bake cheesecake recipes for filling ingredients and amounts. I wish I had a beautiful picture to show you, but I don’t. First, because I was so busy playing hostess that I forgot to take a picture. And second, because it wouldn’t have been worth it anyway—too ugly. Oh well, at least it tasted good. No, it tasted out-of-this-world incredible—creamy, smooth and tangy from the cream cheese and rich and caramelly from the lucuma. 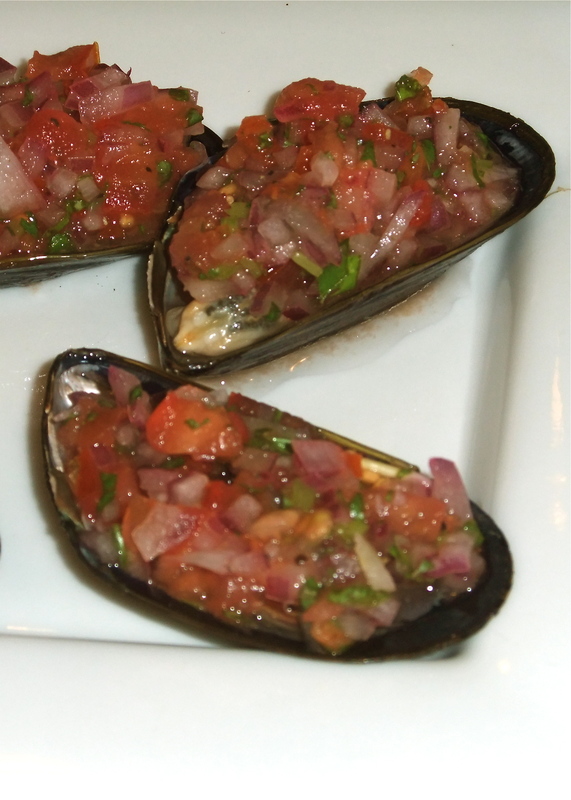 It was like eating a great, big piece of Peru. Yum! Whip egg whites until stiff in mixer. Add baking powder. Add rest of ingredients folding carefully with spoon or spatula. Transfer mixture to a 10-inch (20 cm) removable bottom cake pan, previously buttered and floured. Bake in a preheated oven 350° F (175° C) for 30 minutes. Remove from oven and separate borders from pan with a knife. Cool. Leave in pan. 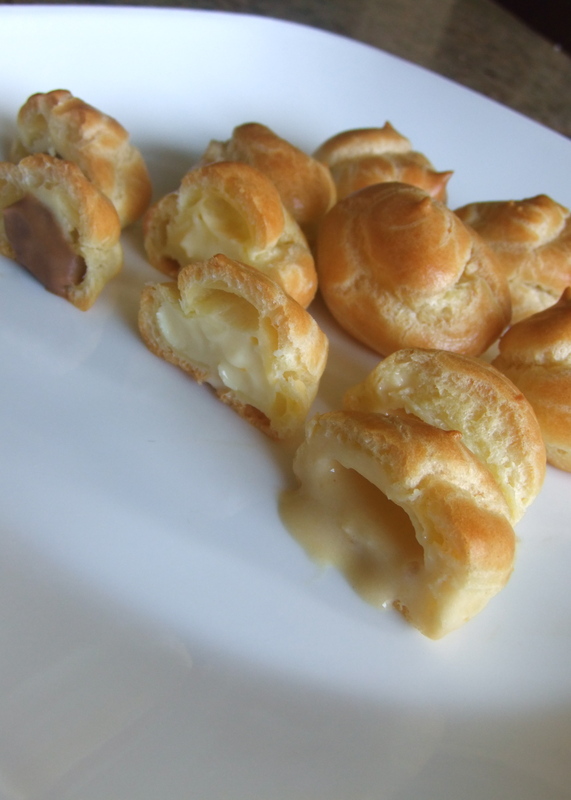 Process lucumas with evaporated milk until thick and creamy. Add gelatin diluted in 1/4 cup water. Beat cream cheese with sugar and fold into lucuma mixture. Whip the cream with confectioners sugar until thick and add to lucuma mixture. Pour cream on top of pecan crust. Cool in refrigerator until cheesecake sets. Remove sides of pan and decorate with chocolate shavings and cream. Serve with a light chocolate sauce.